Genealogist Amy Johnson Crow, who blogs at No Story Too Small, has set a challenge to write about one ancestor each week. I’ve decided to take up that challenge to wake up my (somewhat) languishing blog, but to honor my ancestors. I plan to post every week on Sunday, and I encourage others to join the challenge with me. No, I don’t mean the tinman from the Wizard of Oz. 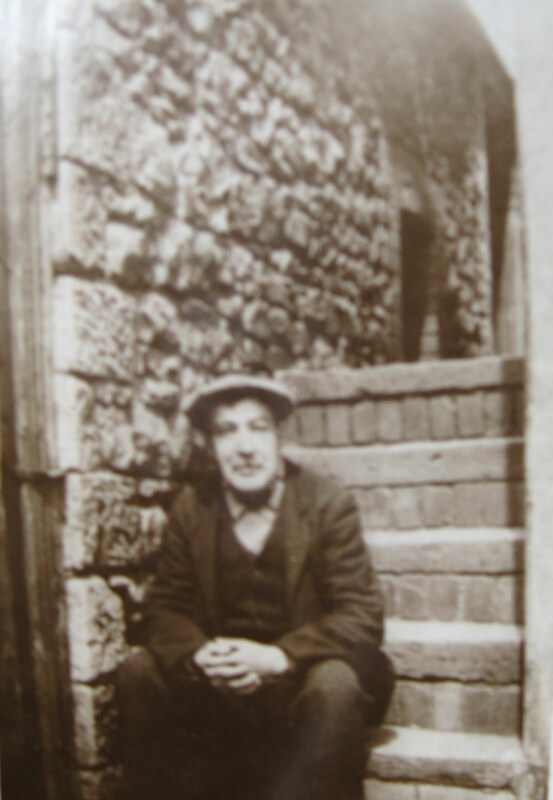 Charles Milton (1866 – 1934) is my great-grandfather on my mother’s side. He was born in Cardiff, Glamorgan, Wales. This is the only photograph I have of him. He married Emma Tyler in Newport, Monmouthshire, Wales in 1889, and they had four children; one of them was my grandmother, Hilda Milton. I know very little of him except that at the time of 1911 England and Wales census, he was a “tinman in tinplate works” in Abertillery, Monmouthshire (Gwent) Wales. Tinplate was used to make containers for food, tobacco, or cooking containers. A tinman’s job was to feed plates into pots of molten tin. The Kidwellty Industrial Museum gives a nice overview of the work involved in the tinplate process. When my great-great grandfather was 44 years old, he was a tinman. Ten years earlier, in 1901, he was a coal miner. I would presume that this was a step up from working in the coal mines. I have no further information about his life other than he died at the age of 67 of nephritis (kidney inflammation), and according to his death certificate, he was a tinplate finisher. It seems a shame that I don’t know much about him, even though he lived into the 1930s. I think I should search the local newspapers to see if his name comes up! Yes, time is short, and the Super Bowl starts in 30 minutes. I’m sorry, great-grandpa – I have to stop now! But I will do more research tomorrow.